The first step in using MORI is creating your account. On your organization's MORI, listed above, use the menu to go to Account > Create Account. You will need your membership number and date of birth. Step through the screens by filling in the forms and hitting the appropriate button at the bottom. You will need to create a password of your choice for your account, which will need to be a minimum of eight (8) characters and contain a mixture of letters and numbers. Once you've created your account, you will be sent an access key. Why do we use both a password and a key? Your MORI access key is an additional piece of information that is required to access your account. MORI uses the Access Key to create a more secure system that discourages hackers by requiring an additional piece of information communicated to you by postal mail. After your account is created, you will be mailed your access key. Once you have received the letter, go to your organization's MORI, listed above. In the menu, go to Account > Insert Key. Enter the key in the form and click the button to Insert the key into your browser. This key is then stored as a 'cookie' in your browser. PLEASE RETAIN YOUR KEY LETTER, as you will need to re-enter the key any time you change computers or clear your browser's history. Once you have inserted your key, go to Account > Login in the menu. 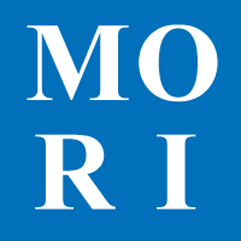 Enter your username and password to access MORI. If at any time you forget your password, click the 'forgot password?' link and an email will be sent to you allowing you to recover access to your account. We have some training videos on this topic, which might be slightly out of date.